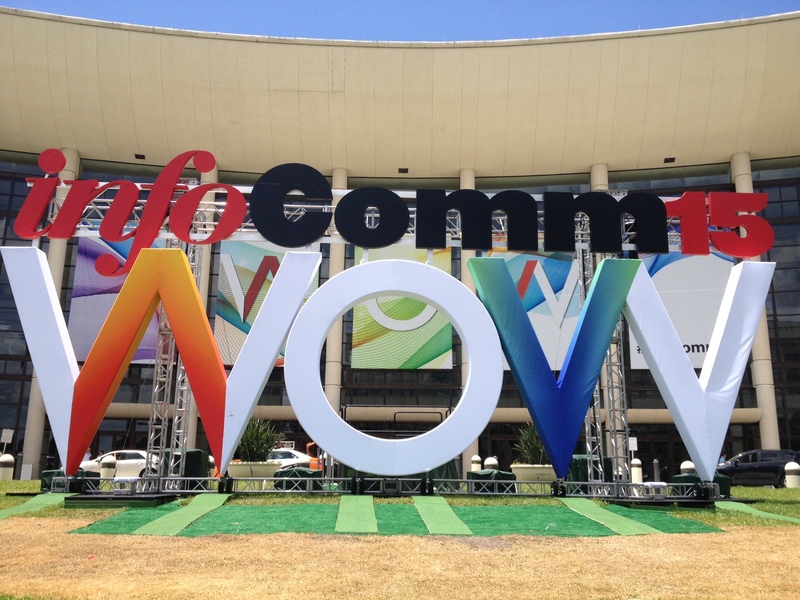 We have just returned from Orlando, where InfoComm 2015 attracted more than 35,000 attendees to see what’s next for AV. This was our unveiling for Mezzanine 3, the latest release of our conference room solution for visual collaboration, and it certainly proved popular at the show. Not only of great interest to the market, but Mezzanine 3 was also named 2015 BEST for Collaboration by the industry’s leading reading, Commercial Integrator magazine. Over the course of three days our booth was packed with representatives from global organizations, systems integrators, and AV consultants keen to see Mezzanine 3’s innovative features in action. 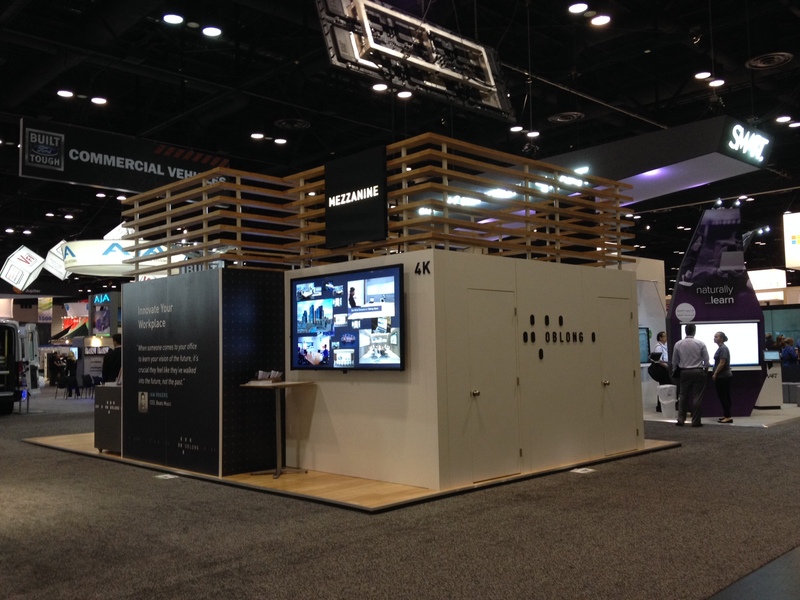 And, with perhaps the ONLY interactive video wall hung from the ceiling in the entire venue, the booth became a destination to visit again and again. It was clear to us that word-of-mouth buzz was quickly spreading through the show. The new Mezzanine 3 workspace, available autumn 2015, supports 4K displays for the first time, and offers a near endless variety of screen configurations across multiple walls. This upgrade also brings new remote participation capabilities to enable virtual collaboration with Mezzanine directly from the application at any location. 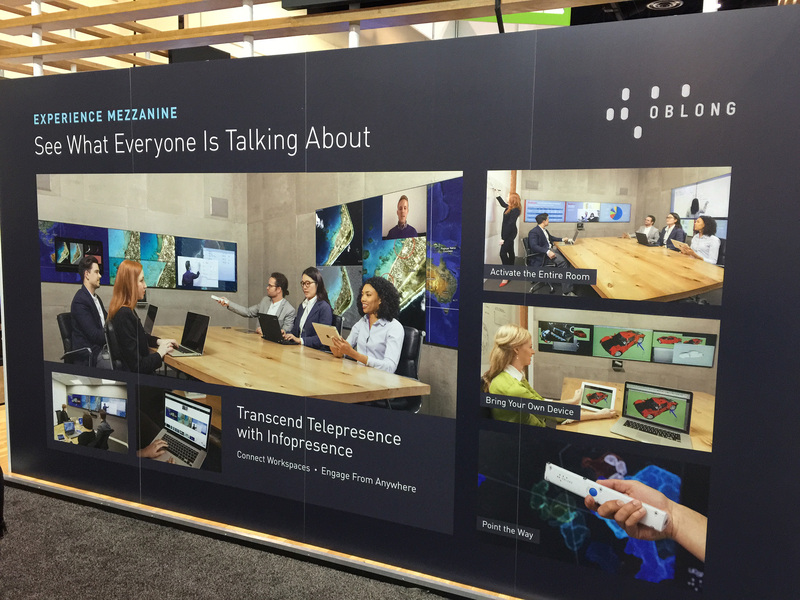 Mezzanine is the only conferencing and collaboration solution that delivers Infopresence™ which goes beyond telepresence to unite participants in multiple locations, not just with voice and video, but also with all of their content and data streams simultaneously. With Mezzanine, all the participants in the meeting can see what everyone is talking about. 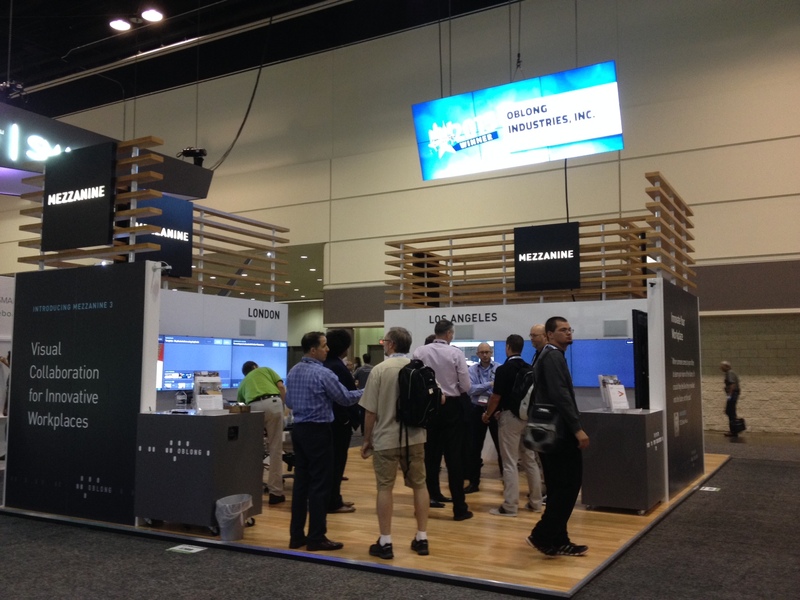 In addition to the exhibition, InfoComm is a celebrated venue for industry education and discussion. Oblong’s VP of Product Strategy, David Kung, joined a panel of peers organized by the IMCCA to address the role of interactive whiteboards and touch displays in the workplace. While Mezzanine has integrated with Smart boards and offers opportunities for touch control via iPad and Android devices, plus mouse and keyboard control via web browser, we see a clear preference for gesture control, which puts the power of the room in the palm of your hand and right from the seat at your table. It’s gratifying to point at content on screens while discussing it, to scale it for emphasis, and to drag and drop images and live streams across display screens all around the room. These are features you’ll only find with Mezzanine.